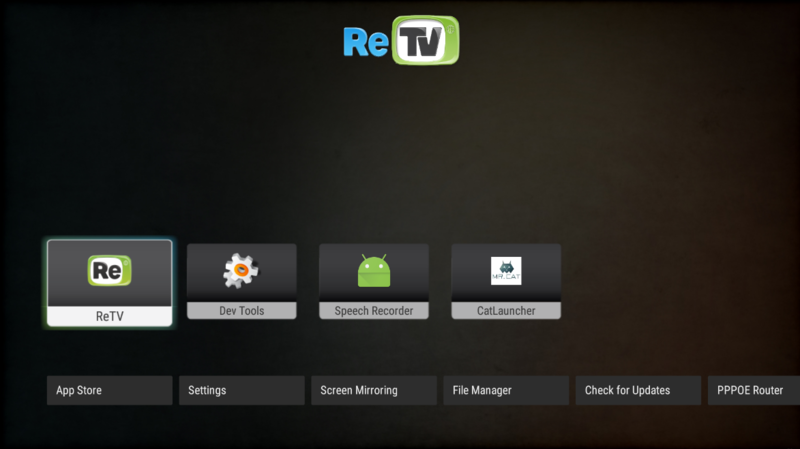 Latest enhancement and updates have boosted up the services and made ReTV either more user friendly. 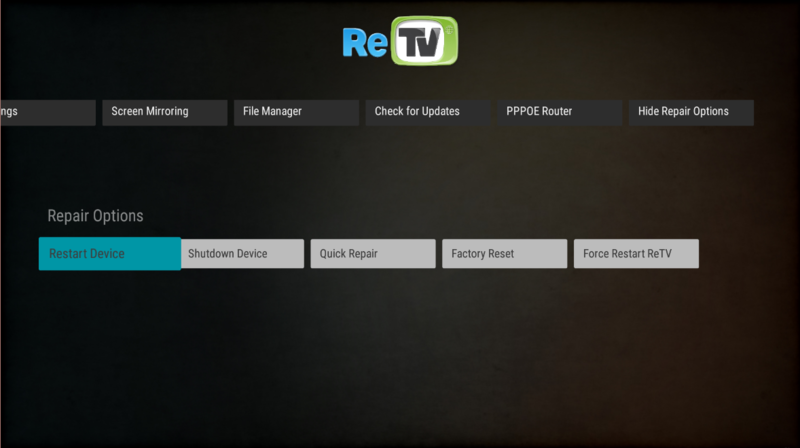 ReTV 3.3.0 update just redefines the way you have been using ReTV to find stuff. Launch all your favorite apps right from the launcher. 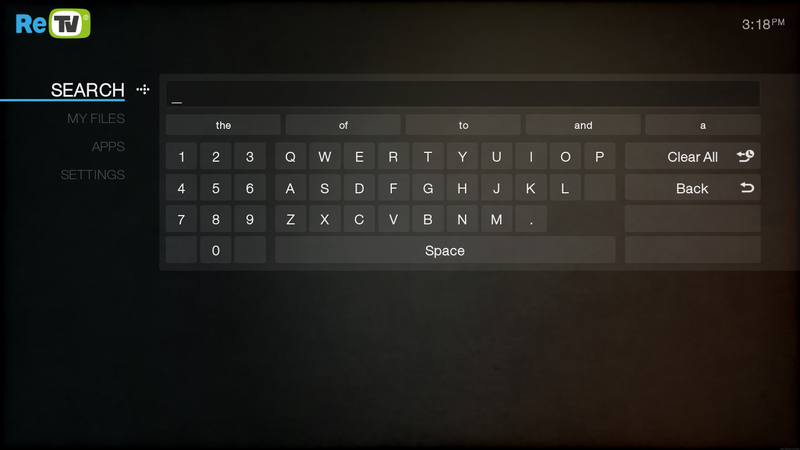 Reach out common setting and quick option all from one screen. 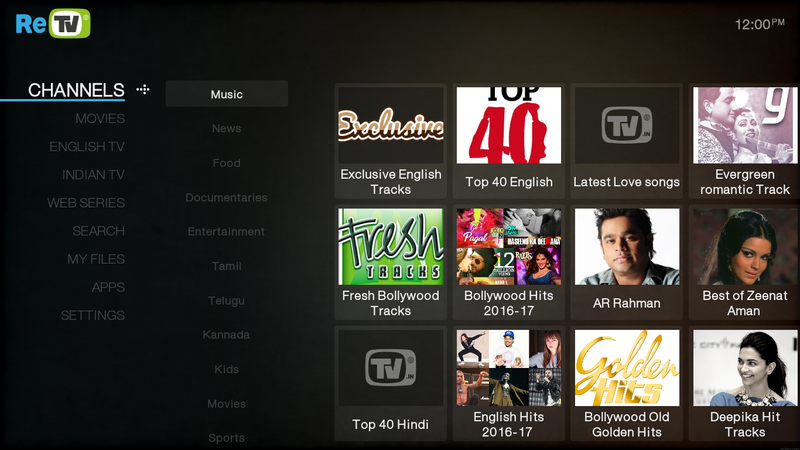 All 300 + live channels are now categorised into 20+ categories. You can change channels using remote just like your dth/cable remote using up and down buttons. 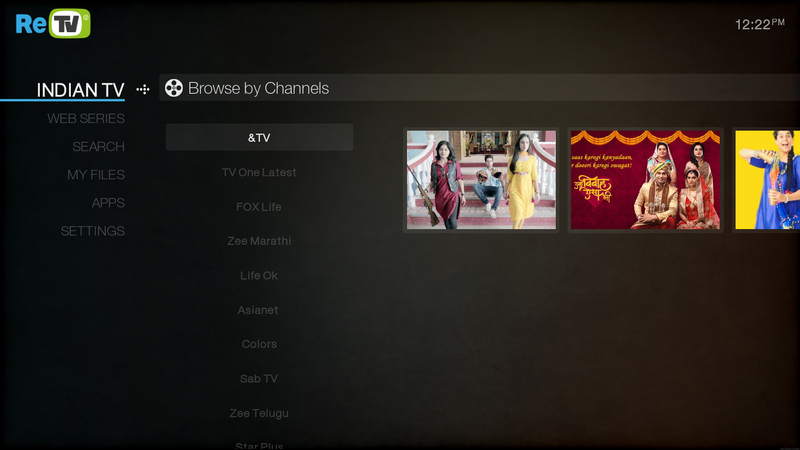 Latest Indian shows from Hotstar, SonyLiv, Voot & Ozee all in 1 Place! 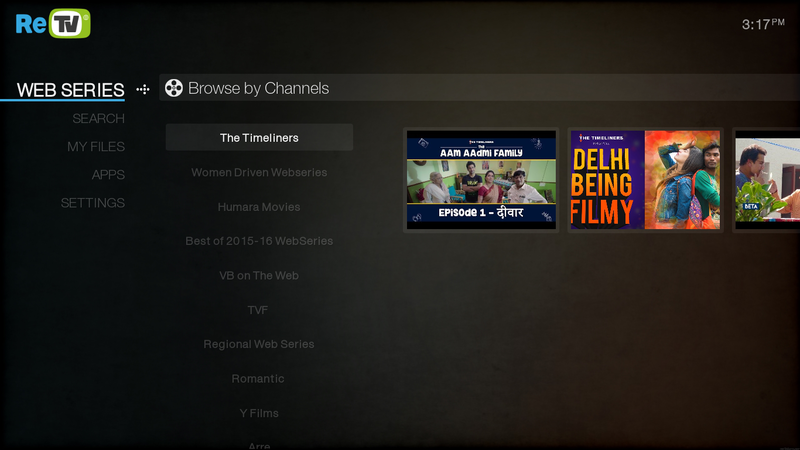 Webseries now categorised under your favorite YouTube channel for easy access. 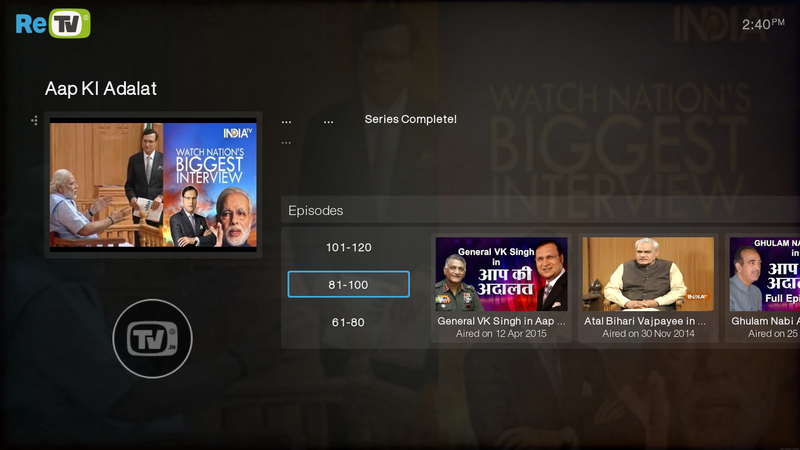 You can now directly seach for your favorite star, show or movie from search option.